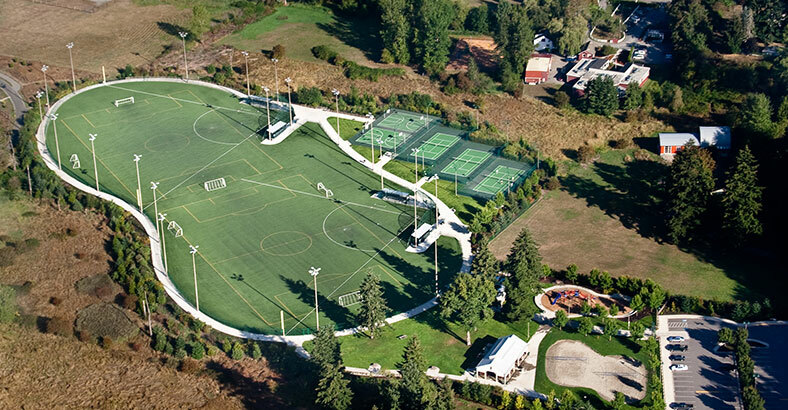 Early background research indicated that the development of this park would not be able to meet the desired number of playing fields due to the presence of large wetlands in close proximity to the site associated with the Bear Evans Creek drainage. 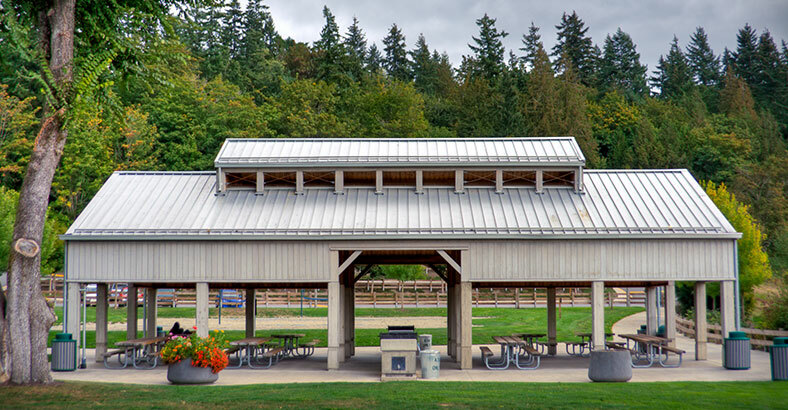 A solution was arrived upon by carefully siting the active recreation spaces, avoiding nearly 97% of the on-site wetlands while maximizing active use of the site. Even under these constraints, at the time of installation Perrigo Park represented the largest contiguous FieldTurf surface in the United States. An extensive public involvement process was enacted to determine the needs of the community. Neighbors and user groups were contacted directly to solicit input. The Park Board provided public comment opportunities through discussion of the park at monthly board meetings. Two community meetings were held and the design process was televised locally on Redmond’s cable television channel. A website was established for the project as well, which provided the latest status of the project, current schedule and meeting dates, and a means for suggestions and feedback. 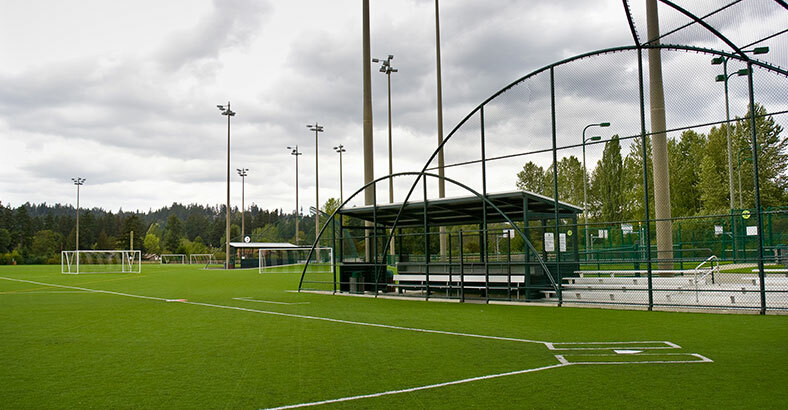 Park elements included two synthetic turf combination fields striped for both softball and soccer, custom curved chainlink backstops, sportfield lighting, a picnic shelter, two sand volleyball courts, a children’s play area, and a loop trail around the fields. 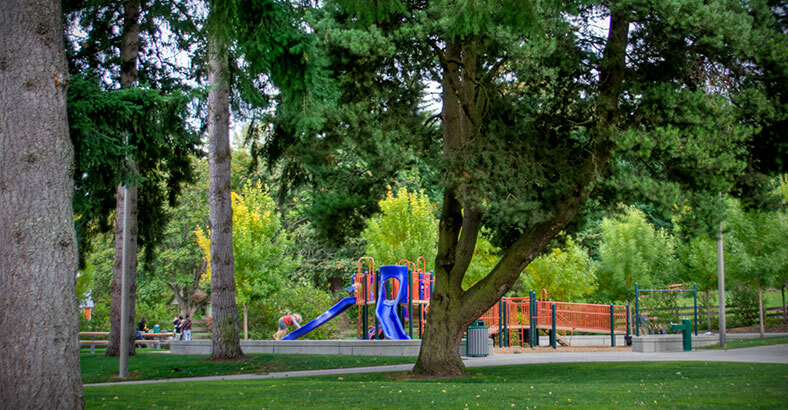 Features were also sited carefully to preserve mature trees, which helped to enhance the community park feel. 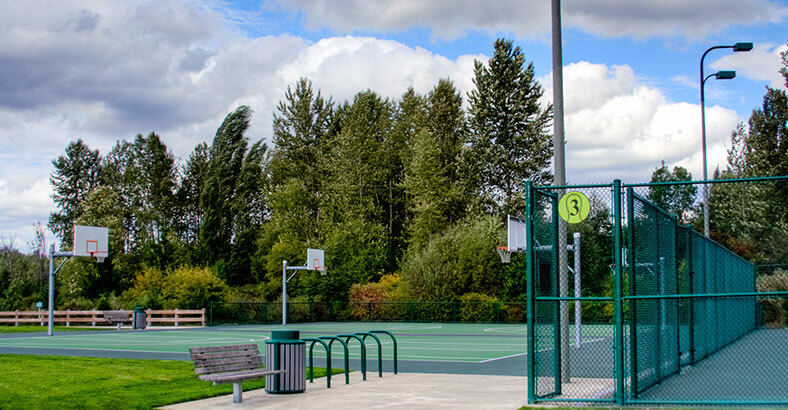 The park also serves as a connection to the Bear Evans Creek Trail and Greenway, which traverses the site on the southwest between the playfields and the wetlands.